You are looking west from the east corner of 14th St and 4th Avenue Southeast. The building on the opposite corner used to be Grey's Drug. 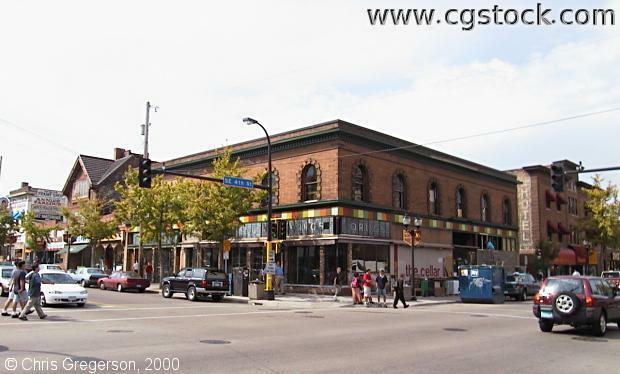 It was being converted to the Loring Pasta Bar when this picture was taken.